On the first day at school the girls were sizing each other up and boasting, trying to make good impressions on each other. 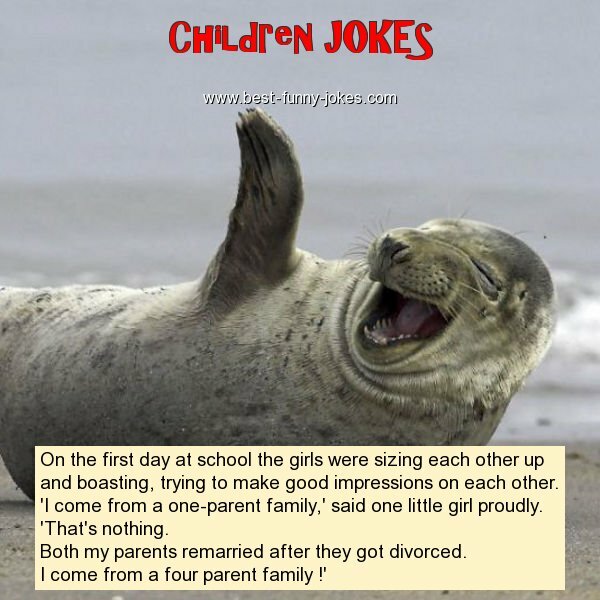 'I come from a one-parent family,' said one little girl proudly. Both my parents remarried after they got divorced.